This 16 +/- acre property is conveniently located just under 45 minutes south of Greenville, SC. There is 1400' of frontage on beautiful Mountain Creek. Mountain Creek also provides a wonderful rock shoals waterfall located at the top of the property. Established road network allows for easy access through the property. Mature hardwoods abound the Mountain Creek frontage. There is 759' +/- road frontage on McCullough School Road. This is your property if you want seclusion, hunting, and a great place to enjoy the country. 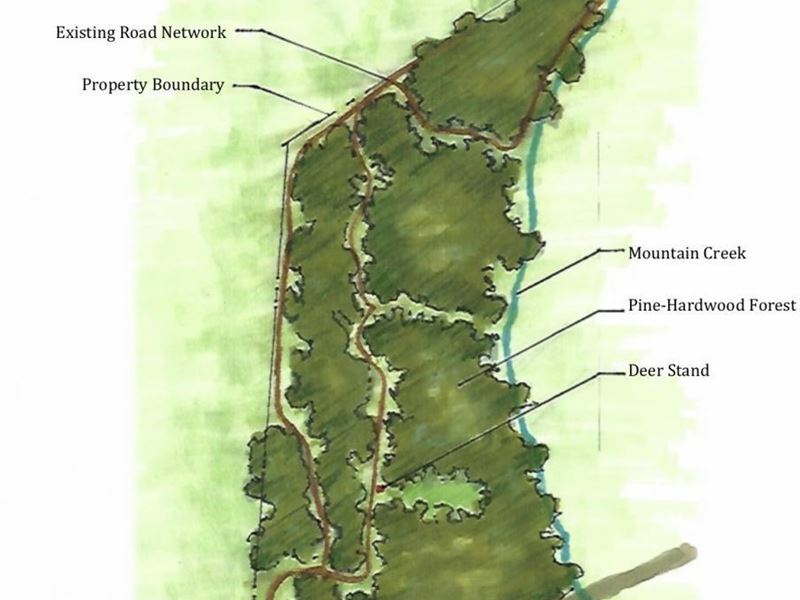 Additional timber investment located on the east side of Mountain Creek can be purchased.